Gone are the days when you had to visit a site or use a certain piece of software to get the information you’re looking for. Google is taking over the entire computing world by transforming their inconspicuous “search field” into one of the most powerful tools online. It’s now the “starting line” if you will for all sorts of information – weather, facts, scores and tons more. And all it takes to access these is to know the “shortcut,” a code typed into the search field that activates the function. From helping you find an article you liked but couldn’t remember the title off to giving you the current movie showtimes in your area, chances are you’ll be a tad shocked at all the amazing features built into Google. 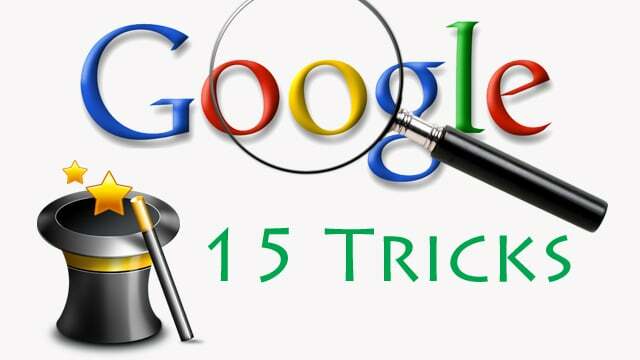 Our guide will outline the 15 coolest Google Search tricks which you can start using right away. 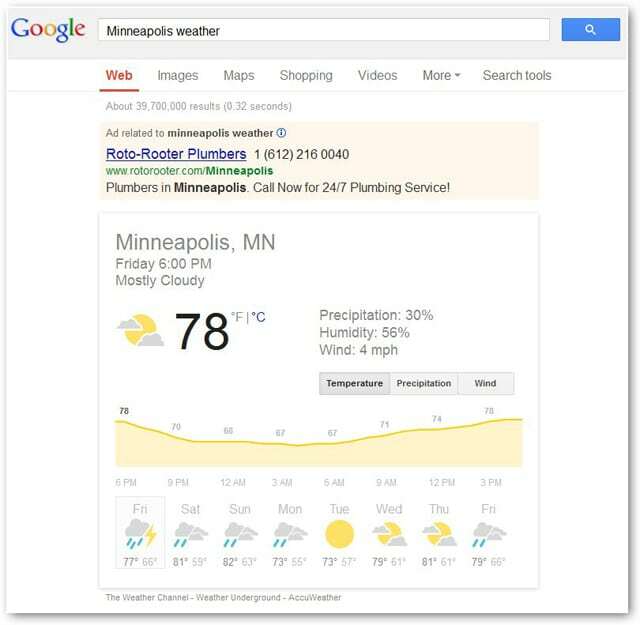 One of the most used shortcuts for Google search has got to be the weather shortcut. Simply type both the city you want the weather for and the word “weather” like this, “Minneapolis weather,” or “<insert city name> weather,” and the current conditions and the 7-day forecast for that city will appear. Searching the web for sites to give you the information you’re looking for is no longer necessary with Google search’s new “Wikiesque” ability. All you have to do is type in the name of the person or place you need a fact for, “Stockholm” and the word describing the specific info, “population,” and the fact will be displayed. If you forgot to bookmark an article you were reading but you still remember the title, you can type “intitle:” before the title in the search field to find the article. This shortcut is amazingly effective and can pick up most title searches. 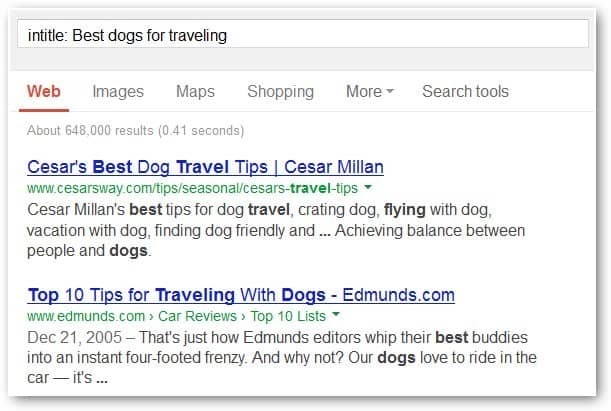 For example, type “intitle: Best dogs for traveling,” for Google to show you all of the articles with titles containing those words. For anyone still struggling with metric conversions, or maybe the opposite, Google’s slick converter shortcut is just the thing. 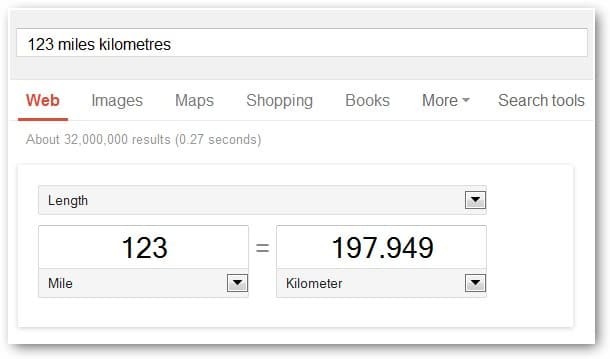 This function within Google can convert units of measurement to metric and back to standard again. For example, type “123 miles into kilometers” and the answer will be displayed. You can use this for cups to milliliters, gallons to liters and more. 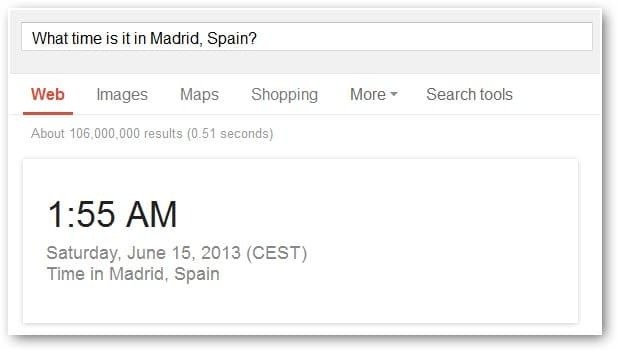 Getting the local time in any city in the world has never been easier or quicker thanks to the Google time shortcut. All you have to do is ask Google the question, “What time is it in <insert city>?” and the time will be displayed at the top of the page. A great way to prevent middle of the night calls to loved ones traveling. For movie buffs who’d like to know more about an actor or maybe they’re curious about a director, this sweet shortcut lets you bypass Imdb.com and will give you an actor or director’s full filmography in an instant. Another hugely popular Google shortcut is the one for viewing the current showtimes for movies in your area. You can type “<movie><your zipcode>” and all the theaters playing the movie will appear along with the showtime. Alternatively, if you’re not sure what you want to see, you can also just type “movie <your zip code>” to see ALL the movies currently playing near you. Sports fans will especially love this shortcut. To instantly view the current score of a major league game (MBL, NBA, NFL and the NHL), all you need to do is enter the full name of the sports team. 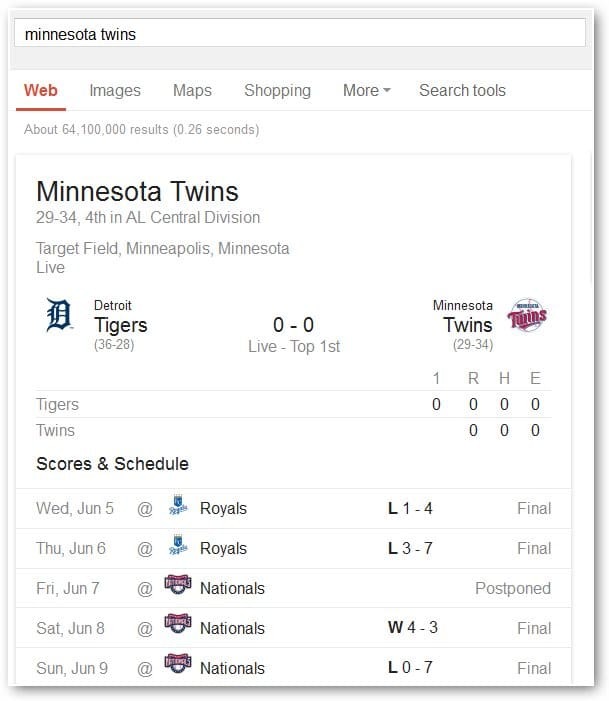 For example, to view the current score of the Minnesota Twins game, or their most recent scores and schedule, just type in “Minnesota Twins” into the search field. There are times when you don’t want all the search results popping up when you’re looking for something specific. What you can do is enter the shortcut “-<whatever you want omitting>” right after the search term. For example, maybe you’re shopping for a new jacket, but you don’t want purple jackets included. 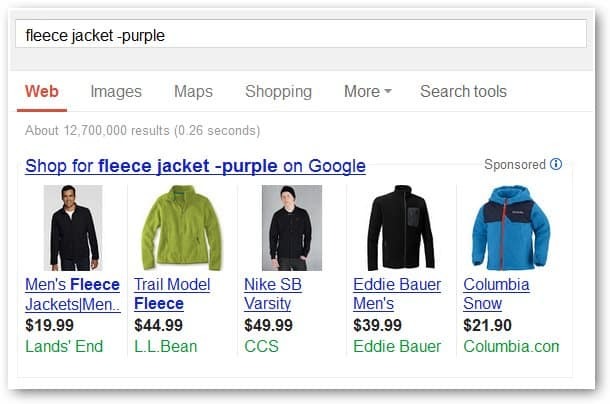 Just type, “new fleece jacket -purple” and any result with the word purple will be omitted. If you run across a site you absolutely love and want to find more sites like it, there’s a Google shortcut just for this. All you need to do is type “related:” before the site’s URL as you conduct the search, and sites like the one you entered will be displayed. Trying to play your holiday throughout the next year? This nifty Google shortcut can inform you of the future dates for annual holidays and events. 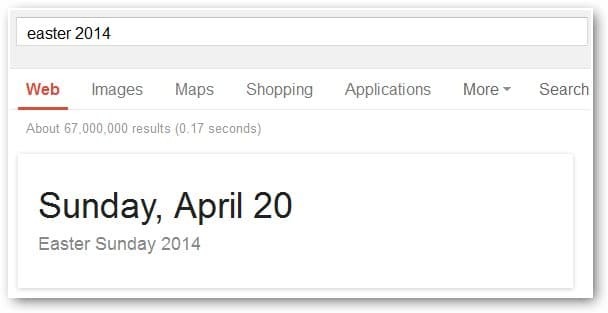 For example, if you’d like to know when Easter will be next year, just type “Easter 2014” and Google will show you when it is. 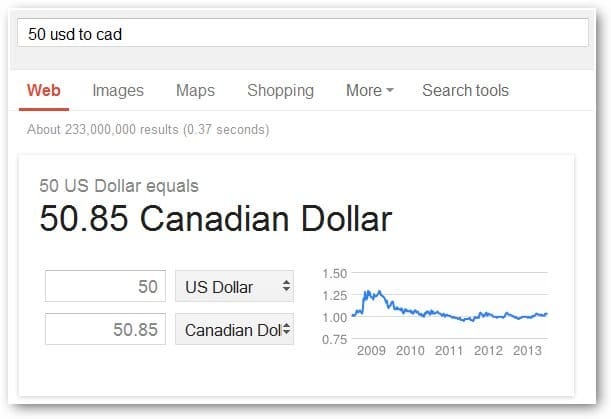 Did you know Google has a built-in calculator? 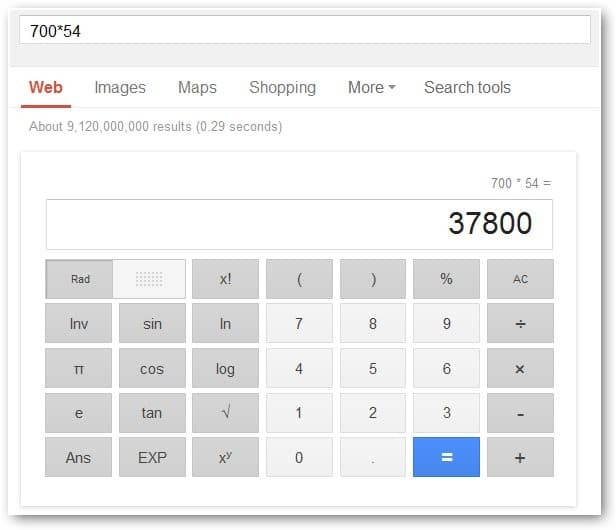 That’s right, you can enter a calculation directly into the search field like this, “700*50″ and it will show you your answer as well as display Google’s calculator. If you want to just use the calculator, type “Calculator” and it’ll be displayed. Also, the calculator is capable of more complicated calculations too. It can show graphs for calculations if you enter “graph” directly before the equation. 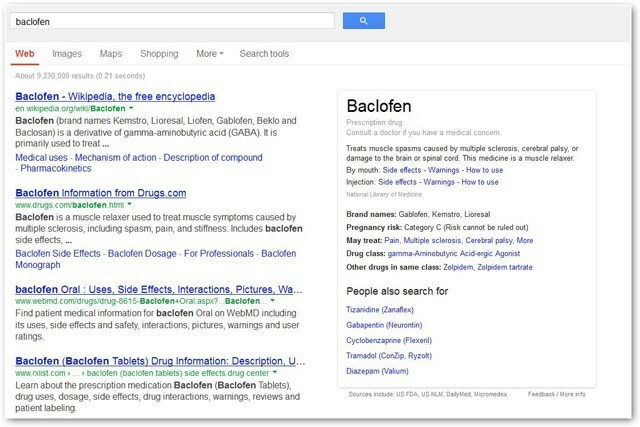 Important information like medication definitions can also be accessed via Google search. Simply type in the name of the medicine and a complete description will be shown as well as links to possible side effects, warnings, and information about dosage. Never again will you have to visit an airline’s site to view a flight status. 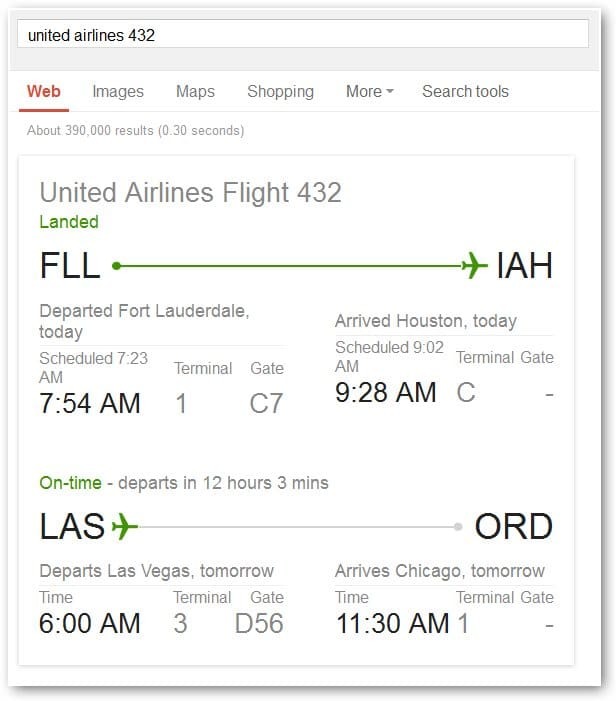 With Google’s flight status shortcut, you can now view the status of any flight for any airline directly in Google. Just type the airline and flight number, such as “United Airlines 432,” and the status will be pulled from the airline’s site and shown directly in Google. You got to love the ease of these shortcuts. They take the chore out of finding information and turn it into an almost fun activity. And for anyone who uses Google frequently on their phones, check out which Google search features work on both phones and computers. 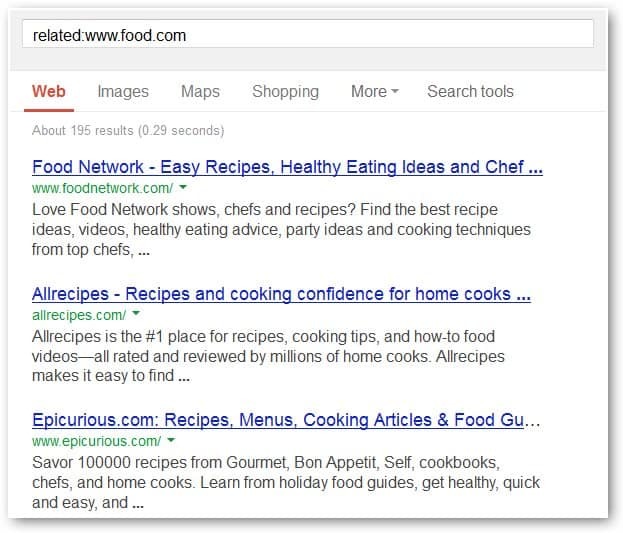 These are some of our favorite Google Search tricks. Do you have any favorites? Did we miss any good ones? Let us know in comments below. Previous articleWhat Does Defragmenting Do for My Computer and is It Really Effective?